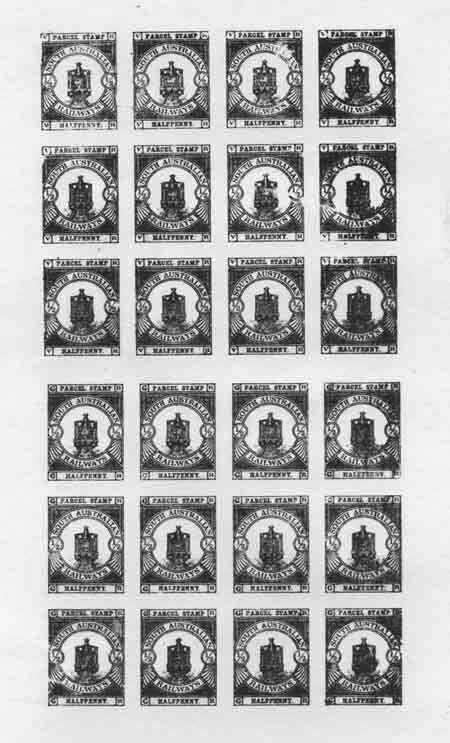 Use of stamp size essay paste up, of photographic litho made up 6 mould [singular]. 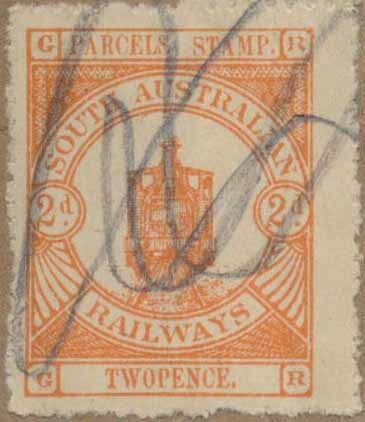 Enlarged layout shown below, with values pasted on. 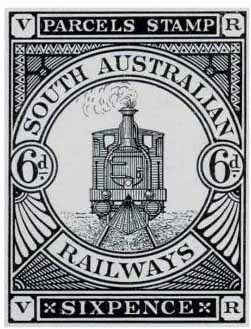 Railway Station Cancels: [S-A-R at base] from-$50.00-$100.00 Adelaide [Adelaide is common in black or blue-$10ea], Burra, Gawler, Goolwa, Kapunda, Kingston, Lower Mitcham, Morgan, Mount Barker, Orroroo, Petersburg, Port Adelaide, Port Pirie, Port Augusta, Quorn, Saddleworth, Strathalbyn, Terowie. 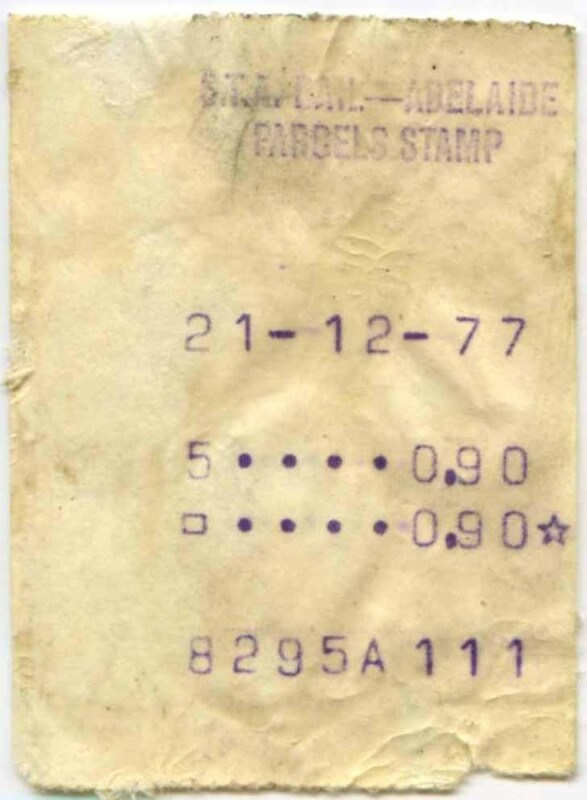 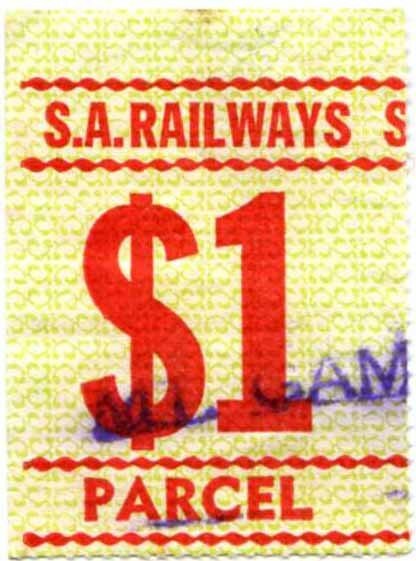 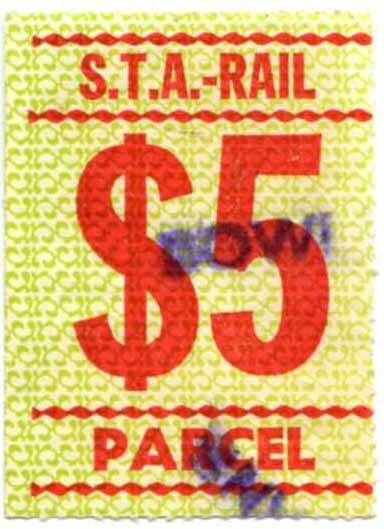 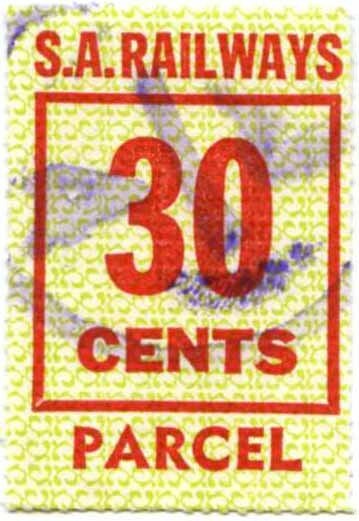 Initially only 13 stations were issued with a "defacing die with moveable type date"
Interstate Railway Cancels: from-$15.00: Spencer Street, Melbourne; Sydney. 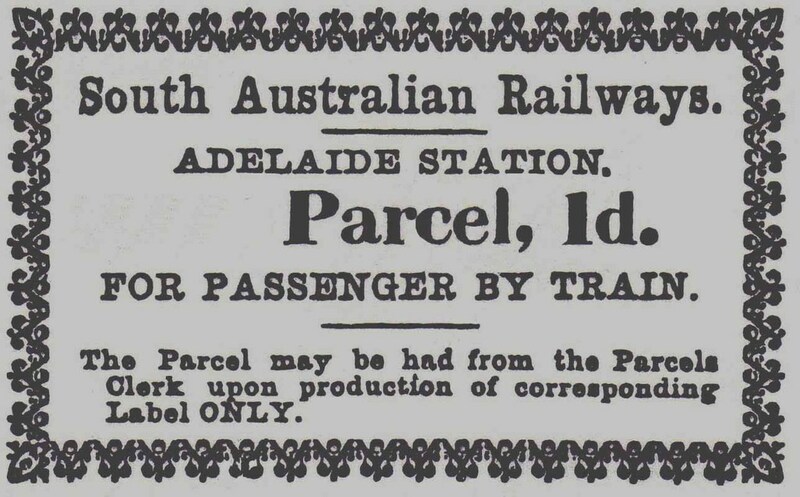 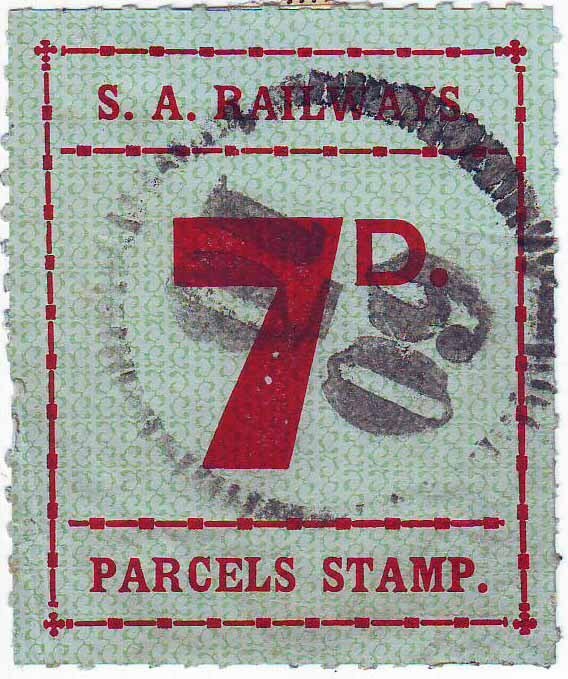 Notes: Conflicting reports in another publication state the issue above was withdrawn on 1.9.1887, after which they could only be used on parcels of newspapers and parcels sent by Government departments [see 1922 issue below], yet in the S.A. Railways Rates & Regulations 1887 viz; No.216 24 11 1887 clearly states a listing of parcel rates including 'Press Parcels' charges at one-fourth of the rates, further bicycles, feathers, furniture, bonnet boxes, straw bonnets, perambulators etc etc are to be charged at 50% above the regular rates. 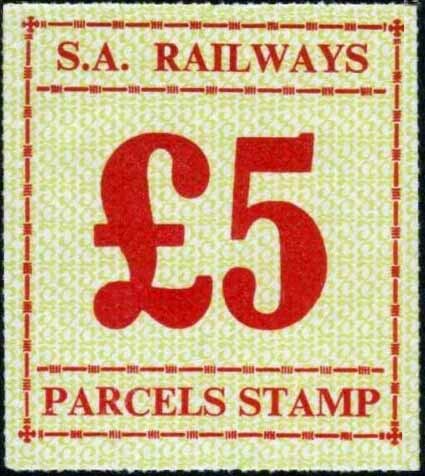 Regular rates of the time e.g. 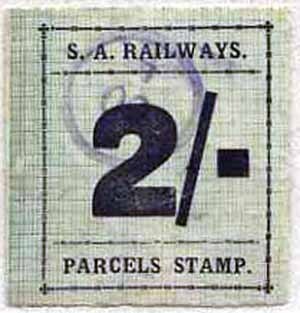 a 7lb parcel from S.A. to N.S.W. 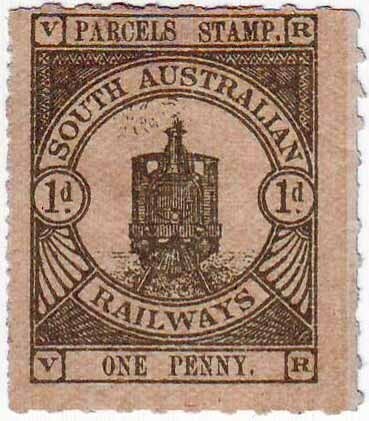 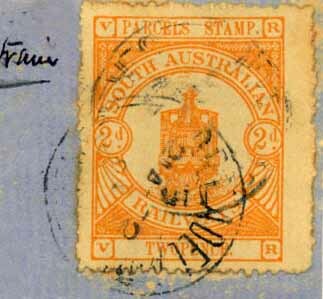 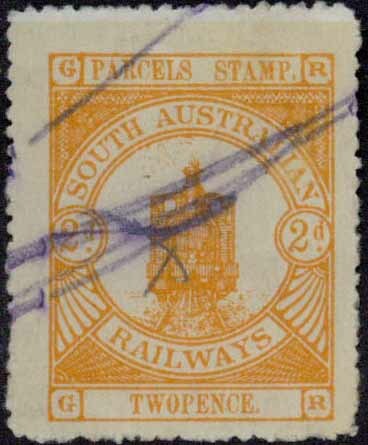 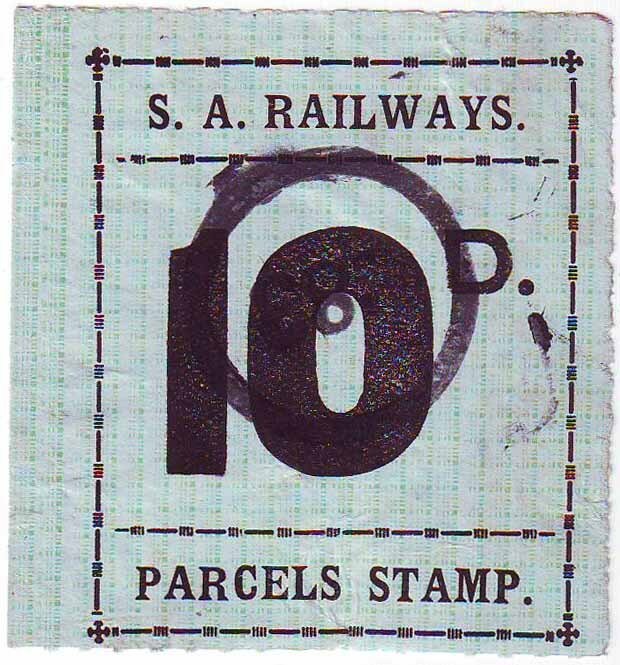 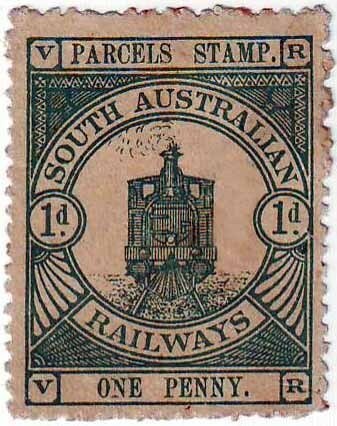 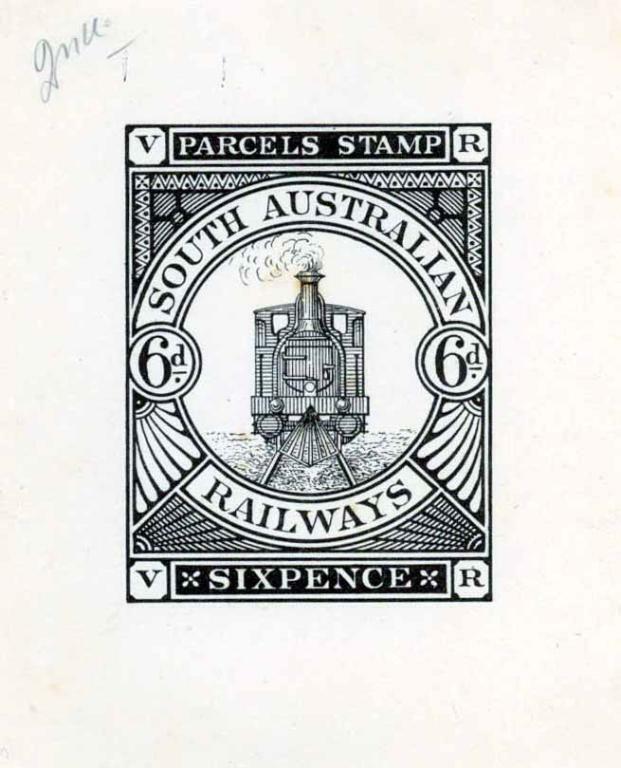 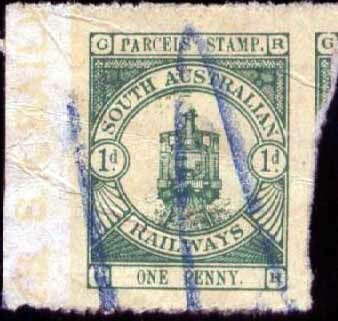 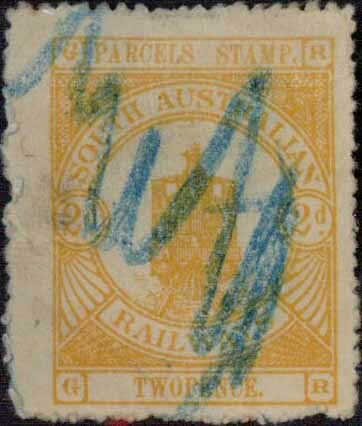 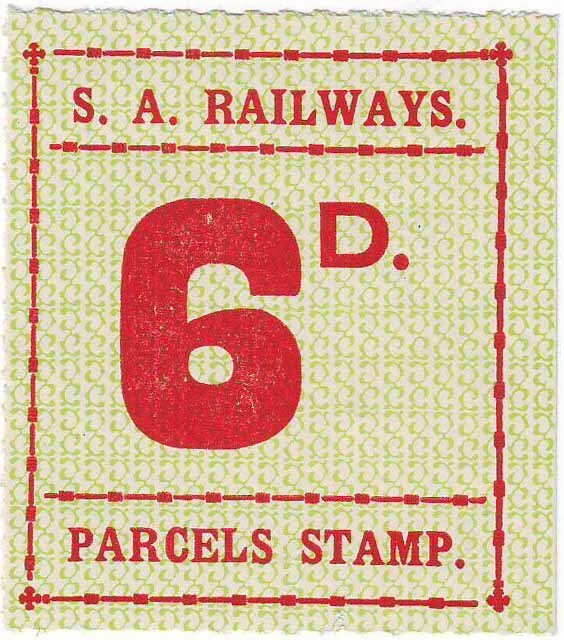 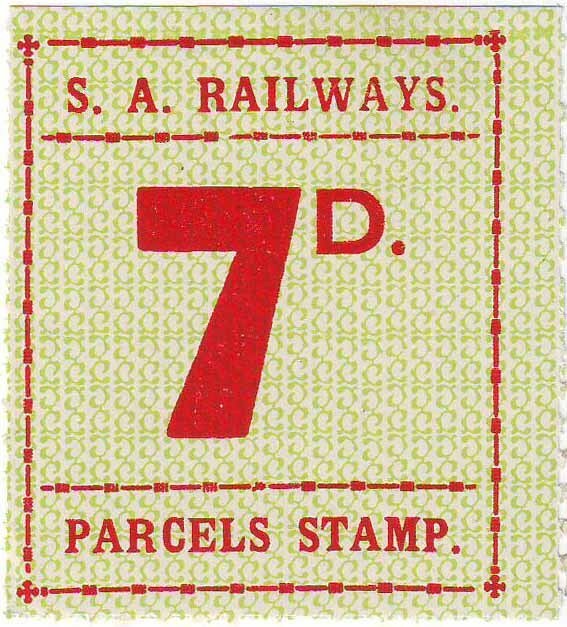 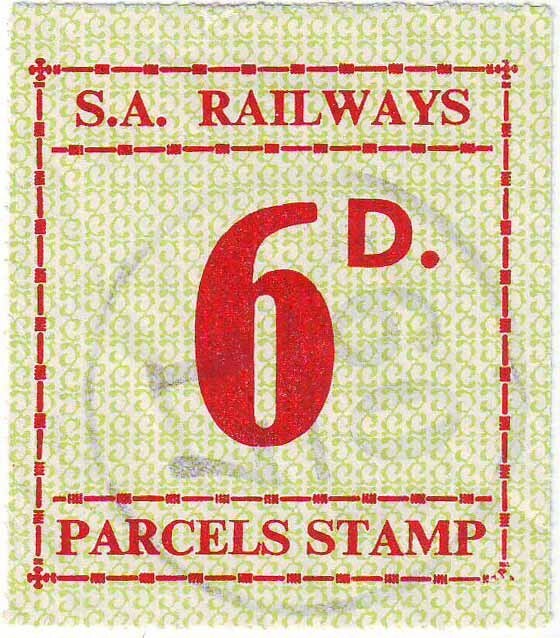 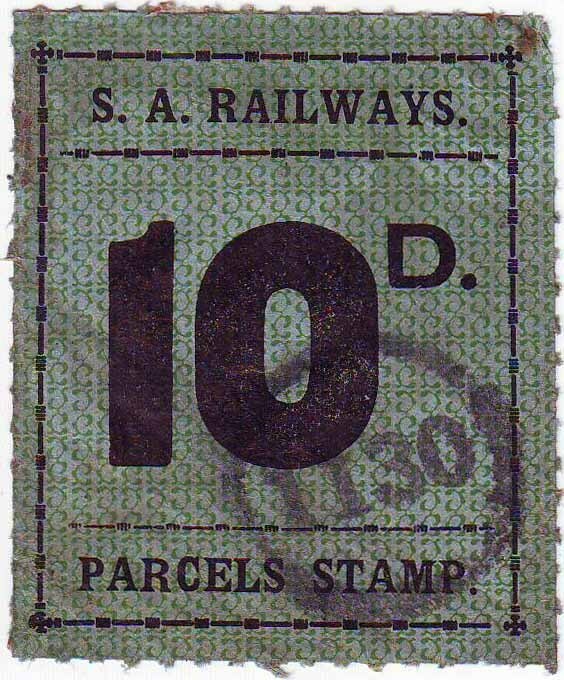 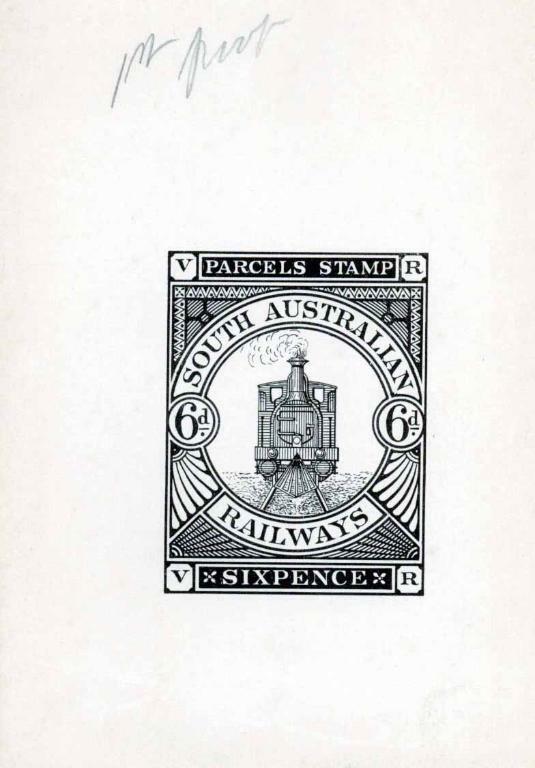 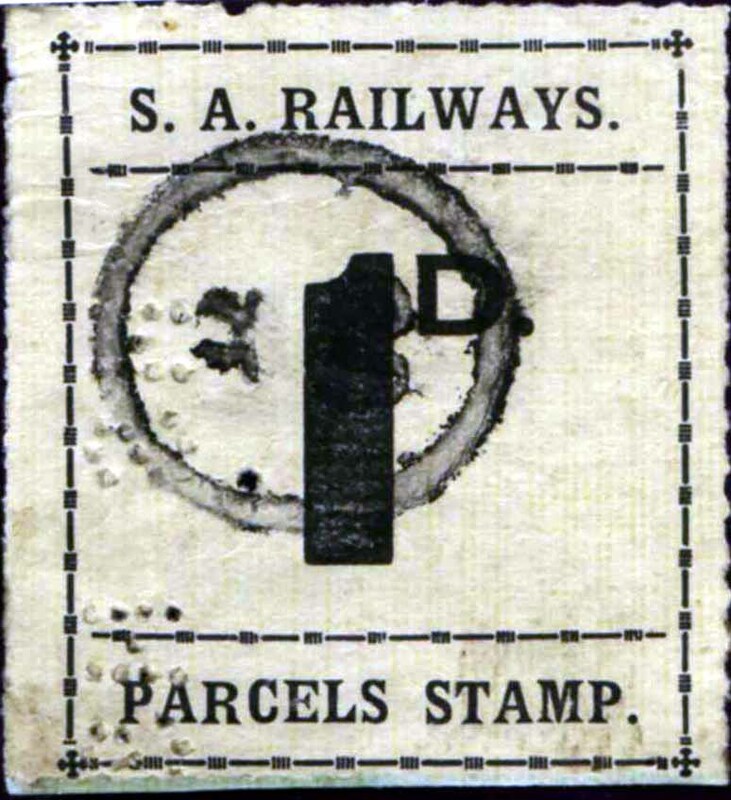 was 3/- this was carried over three railway networks each entitled to a cut of the parcel rate, in this case the 3/- was divided up into 7d for S.A. 1/4d for Victoria & 1/1d for N.S.W. 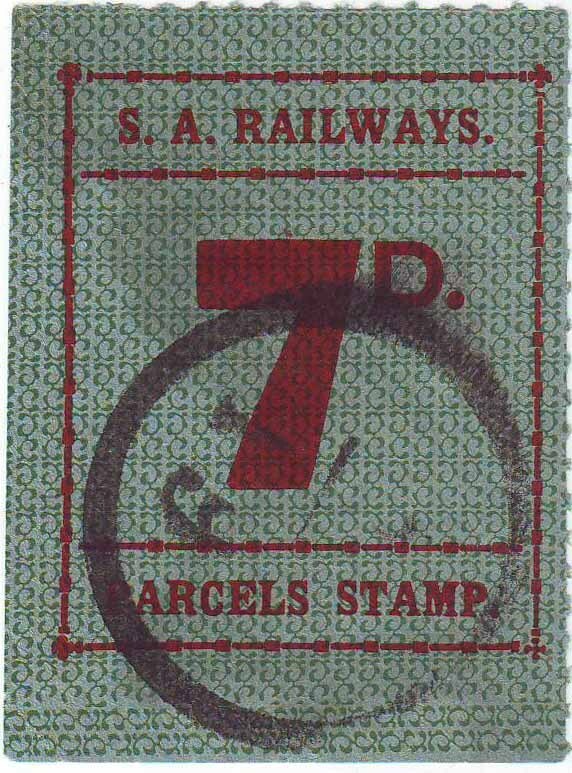 Note: I have seen this roulette recorded as being issued in 1890 [Beer duty revenue stamps of 1894 were perforated 12 yet the 1903 beer duties are rouletted], In another publication the date of issue is 1907 on the strength of a single pen date. 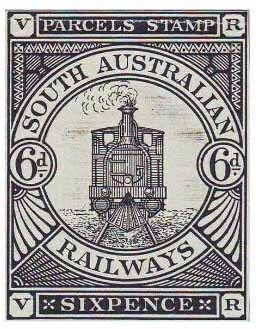 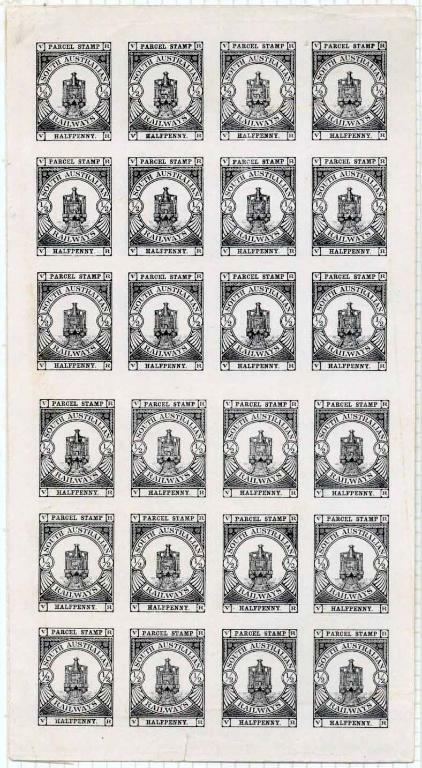 Walter Morley's catalogue of "The Revenue Stamps of the British Colonies" 1910 [the most up to date listing of railway stamps of South Australia of it's time] does not list a roulette. 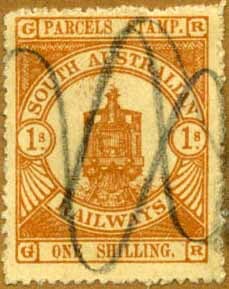 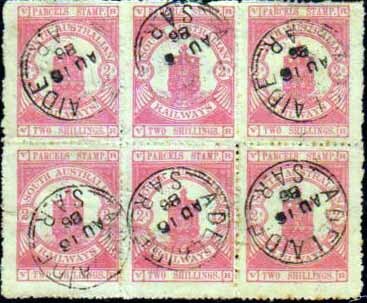 The South Australian Government Printer stopped using roulettes to separate postage stamps in 1870 so until further evidence comes to light I will leave it as being issued in 1920. 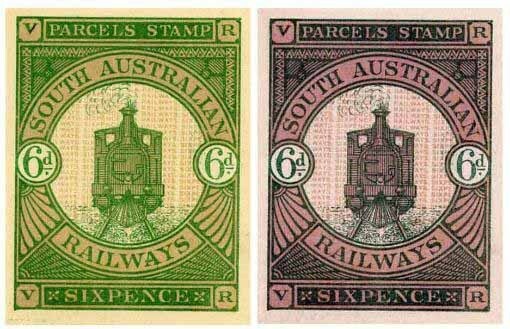 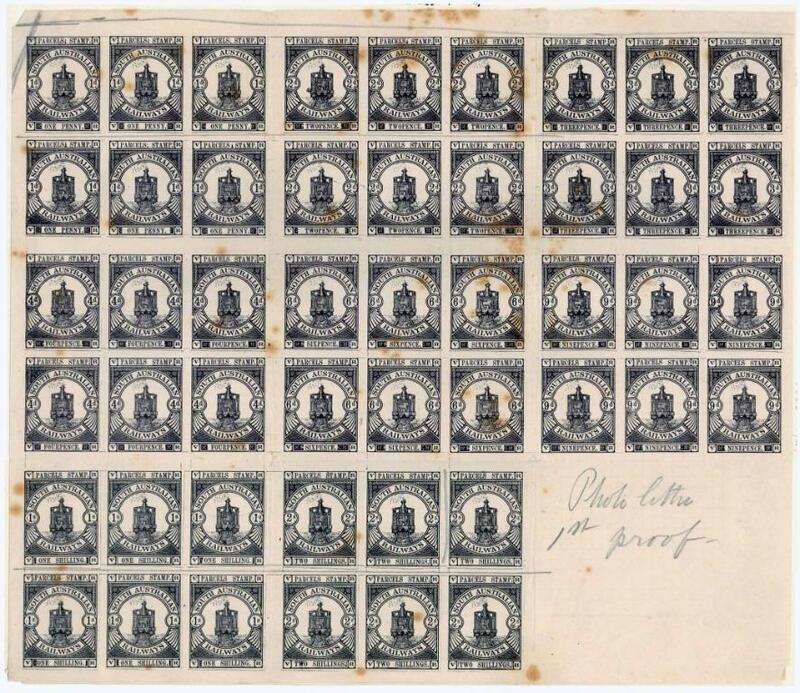 It should be noted the 1927 issue of numerals are roulette 7 separation. 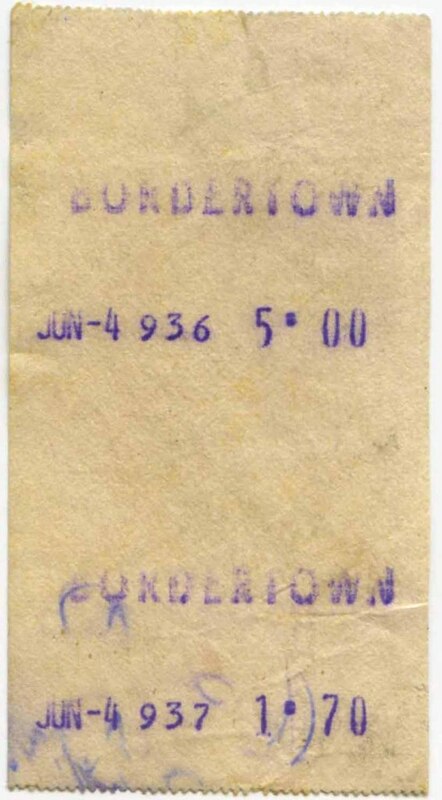 If you have any information regarding the issue date of the Rouletted separation can you please let me know. 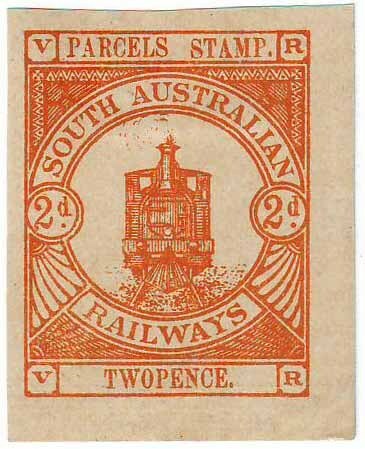 Imperf 12 mould x 2. 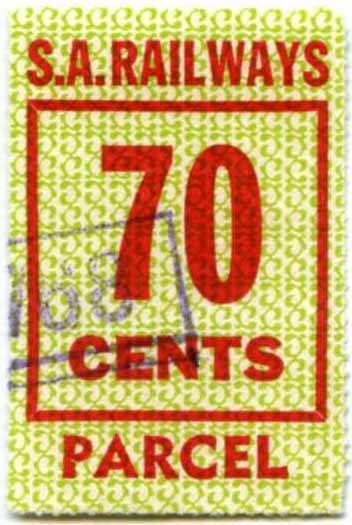 Dark blue-green paper / green underprint, "chain link or a multiple C's"
Print area 41-42x45-46mm, new font.